A pilot program at Smithson Valley High for students with a dream to own their own business one day will be offered at Canyon and Canyon Lake high schools next year. Juniors with an entrepreneurial spirit should enroll in the Business Incubator class. 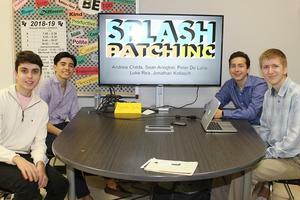 The next Bill Gates, Steve Jobs or Kendra Scott may be among them, the 22 Smithson Valley High School students who are enrolled in the district’s pilot Business INCubator class. 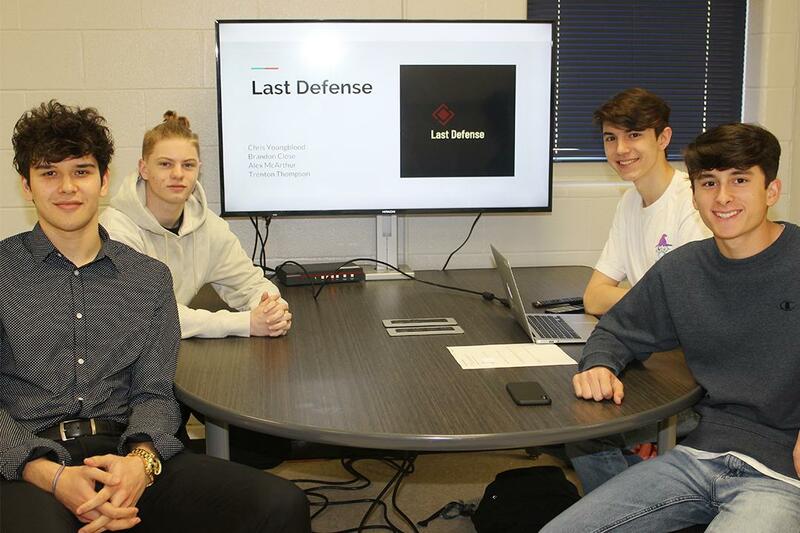 Made up mostly of juniors with a few seniors, the class is gearing up for its final test, Pitch Night: The Final Pitch scheduled 6-8 p.m. Friday, May 24, in the SVHS library. In Shark Tank-style, the young start-up company representatives will present or pitch their product or service to a group of executives who will decide whether or not to invest or fund their dreams. If funding is awarded, the companies will take the next step in making their products or services a reality; if they are not funded, they may go back to the drawing board or refocus their efforts. One of the companies vying for funding on Pitch Night is developing an application called Fash, which will correlate local weather with fashion trend ideas and offer suggestions daily as to what to wear. 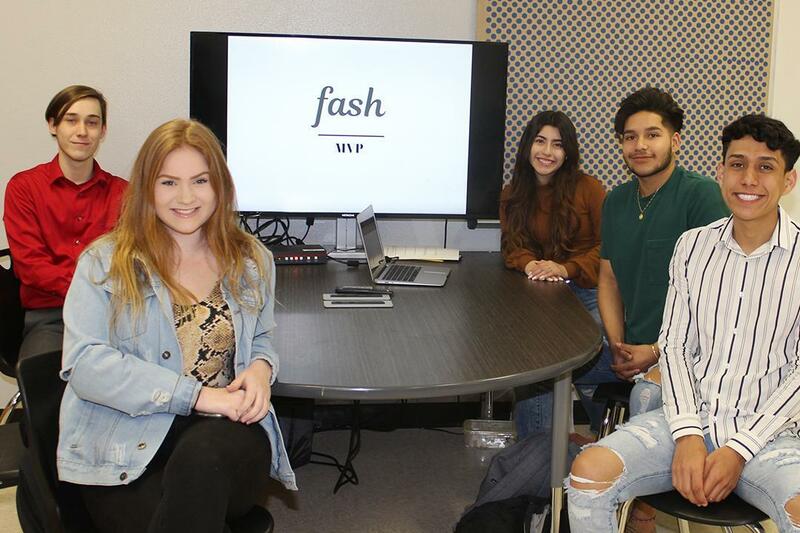 Seniors Daniel Martinez, Cesear Ramirez, Catherine Roca and Tristan Vance along with Junior Presley Geil are designing the app with the help of their community mentor, Kaitlyn Craft, owner of Farmhouse Market, a women’s clothing store in Spring Branch. The Business INCubator class has inspired many of the students to continue to pursue their dreams of becoming entrepreneurs. Besides Fash, which is currently on Instagram at fashandfunction, four other companies are presenting products or services on Pitch Night including Splash Patch, Overtime Sports, Last Defense and Reverse Resale. Splash Patch is offering a urinal insert to help splash back while adding a deodorant feature. Targeting large maintenance contracts, the company is made up of Sean Arington, Andrew Childs, Peter Deluna, Jonathan Kollasch and Luke Rea. Splash Patch community mentor is Cory Martelli with the Martelli Insurance Agency. Overtime Sports is hoping to open a local consignment store for gently used kids sports equipment and clothing. The idea is to support the local community and ease the burden on parents whose children want to try multiple sports. The company is made up of Taylor Bonser, Devin Bui, Molly Moczygemba, Charlotte Pierce and Devin Smith. Overtime Sports mentor is Pat Rodriguez, an independent senior sales director with Mary Kay Cosmetics. Reverse Resale is an intermediary search platform bringing sellers to buyers who are looking for unique or specific items. Reverse Resale includes Curtis Hellingshausen, Thomas Lagoudis and Griffin O’Niel with community mentor, Wade Lowry of WRLowry Farms. Last Defense is offering a high security option for classrooms, a whiteboard with a bulletproof back which can slide over door openings to protect a room or space. Last Defense is made up of Brandon Close, Chris Youngblood, Trenton Thompson and Alex McArthur with community mentor, Eric Anderson with ERAnderson & Associates. Besides mentors, the class also received business advice from community leaders in various areas, which are important to the success of any business. Heather Miller with Physicians Premier ER coached them on market sizing; Eric Anderson with ERAnderson & Associates coached them on positioning; Mechelle Salmon with the Centre of Healthcare, Innovation & Sciences coached them on revenue forecasting and funding requests; Chris Gain with Generational Capital, Inc. coached them on financial statements and forecasting minimum success criteria; Jason Rammel with Rammel Law Firm coached them on the legal aspects of business; Cory Martelli with Martelli Insurance Agency coached them on sales planning; Reagan Farish coached them on the art of sales; and Dan Mullins with Southland Communities coached them on storytelling. For Career Prep Coordinator Leslie Weil, who teaches the Business INCubator class at SVHS, this year has been an experiment to see how well students and the community respond to the idea of developing entrepreneurs in the high school. In fact, students from various disciplines and interests are encouraged to enroll in the course, because a successful business is only as successful as its employees. Weil says students learned how to use each other’s strengths as they worked on developing their businesses. Someone who is organized could make a great chief executive officer; someone good with math, may make a good financial officer; someone who is artistic, may be the perfect graphic designer; and so on. Businesses interested in partnering with one of the Business INCubator classes in the fall, may contact Corbee Wunderlich, Comal ISD executive director for secondary education, at wunderlich@comalisd.org. Anyone interested in investing in one of the SV Incubator companies and support Pitch Night, May 24, contact the Comal Education Foundation at foundation@comalisd.org. 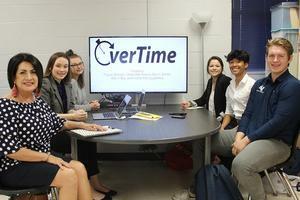 -The Overtime Sports company from left includes Community Mentor Pat Rodriguez, Molly Moczygemba, Charlotte Pierce, Taylor Bonser, Devin Bui and Devin Smith. -The Fash company from left includes Presley Geil, Tristan Vance, Catherine Roca, Cesar Ramirez and Daniel Ramirez. -The Last Defense company from left includes Alex McArthur, Trenton Thompson, Chris Youngblood and Brandon Close. 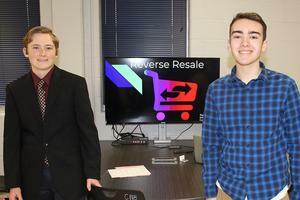 -The Revers Resale company from left includes Thomas Lagoudis and Griffin O'Neil. Not pictured is Curtis Hellinghausen. -The Splash Patch company from left includes Luke Rea, Sean Arington, Andrew Childs and Jonathan Kollasch. Not pictured is Peter Deluna.